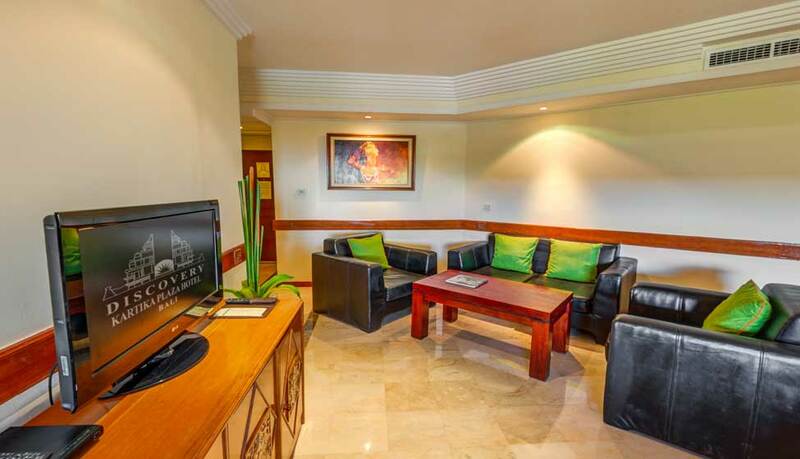 The Family Suite comprises of 2 bedrooms separated by a door. 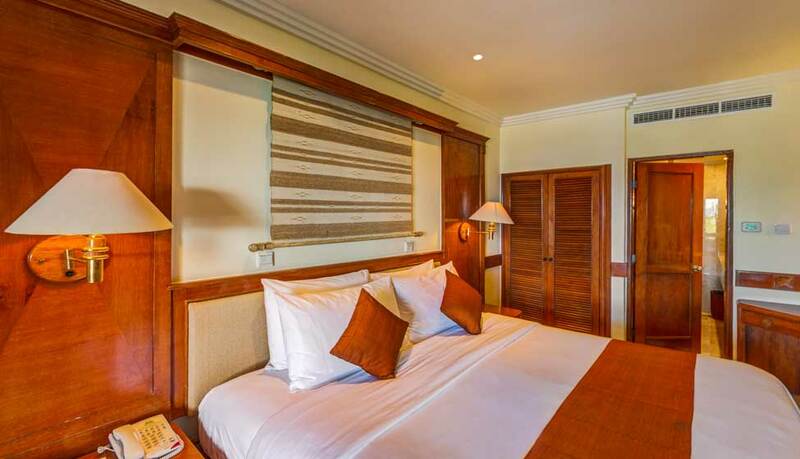 The Master bedroom has a private terrace, a private bathroom with tub, sofa set and LCD television. The smaller bedroom has two Twin beds and LCD television. The 16 Family Suites are located on the 2nd to 4th level.